Exercise can be a simple element of a healthy lifestyle. Physical activity is beneficial within the present and also helps with future endeavors. Here's a compilation of every single fitness centre registered at Gymmia in Black Mountain. If you know any other Gym in Black Mountain, tell us about it!. 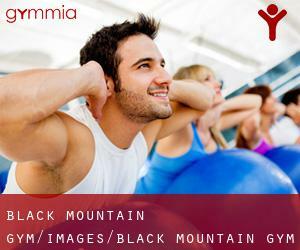 It's worth the effort to try Black Mountain Gym, due to the fact staying active helps avoid almost fifteen diseases. The perfect approach to stay in shape in Black Mountain is usually to find the right Black Mountain Gym, close to the place where you are going to remain. You need to also give some thought to where your Gym in Black Mountain are located, as it is easier to go when the fitness centre is located near your home or workplace. Aerobics, aerofitness, and boxing-aerobics are very good choices if you want to improve your fitness in a Gym in Black Mountain. It's necessary which you go over a suitable nutrition plan together with your Fitness Trainer in Black Mountain to find out that all your dietary needs are met. Different people require different guidance, and here at Gymmia we can help you locate the suitable Yoga for you so you can find no excuses. With spring coming up and summer following, it's the best time to start a new routine. Pilates can take the form of one-on-one sessions with a personal trainer or they could be performed in a class setting with a number of students. When you start off your search for a centre to begin practicing it use Gymmia to make your search fast and effortless. There are a few gyms to choose from when you're taking into consideration BodyCombat; you can get all your queries answered at Gymmia.